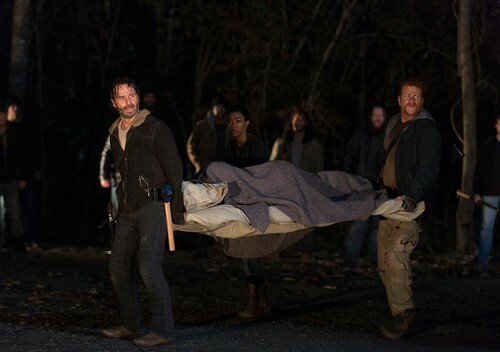 6x16 ~ Last araw on Earth ~ Rick, Abraham, Sasha & Maggie. Episode Still. HD Wallpaper and background images in the ang paglakad patay club tagged: the walking dead season 6 6x16 last day on earth rick grimes abraham ford sasha williams maggie greene. This ang paglakad patay photo contains barrow, garden cart, lawn cart, and kartilya.